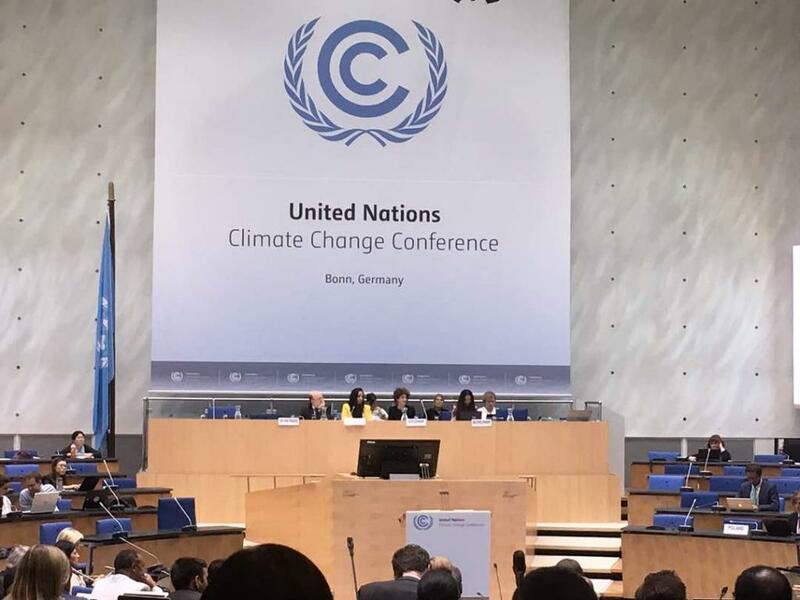 Negotiations continued on the critical issue of global stocktake under the Paris Agreement in Bonn during Friday’s inter-session meeting on climate change. Showing yet again a strong intervention, India pushed for the issue of equity in global stocktake and said that the Parties must not lose focus on the implementation of equity in the process. Global stocktake, mentioned in Article 14 of the Paris Agreement, is meant to assess collective progress on climate actions of the Parties with regard to mitigation, ambition and means of implementation, with a long-term objective of raising the ambition of the Parties. Starting the discussions on global stocktake, the co-facilitators presiding over the meeting put up a slide on modalities and another slide on its output and outcome, with a view to have focused and deliberative discussions. While the slide on modalities had elements related to timelines, phases, both technical and political, workstreams on mitigation, adaptation and means of implementation, the slide on output and outcome had bullet points under the output section of the slide with components related to technical and political content, the state of collective progress, the magnitude of efforts needed, best practices and lessons learned, summarising experiences. The second slide also mentioned that output on global stocktake should inform the outcomes. The outcome section of the slide contained the objective mentioned in the Paris Agreement regarding stock-taking, which is enhancing the ambition of the Parties informing the subsequent round of Nationally Determined Contributions. Parties agreed that global stocktake should be a facilitative and cooperative process. The outcome should enhance ambition of the Parties and forge collaborations and partnerships. India, in its intervention, put forth that the outcome of global stocktake should also capture loopholes in the climate ambition. It said that the outcome of stocktake should separately capture the assessment of actions of developed countries, in accordance with their historical responsibility to lead the climate action. Aggregate impact of financial support and gaps therein, and ways of identifying new and innovative sources of finance must also be captured. On the pressing issue of equity, India said that the Parties need to discuss ways so that the outcomes of global stocktake reflect equity. Equity should be reflected in outcomes and processes too. In terms of workstreams, India advocated that there should be an additional workstream on equity. India’s proposal on equity was endorsed by Brazil too. India also proposed inter-sessional meetings and workshops to advance the work of technical phase of stocktake, a proposal welcomed by other developing countries. Referring to the political phase of global stocktake, India said that political leadership in this issue must be confined to COP and the high-level segment (within the political phase) of stocktake. Developing countries also agreed that the outcome of stock-taking should enhance international cooperation on climate change. The developing countries’ view on equity was contested by developed countries, which saw the implementation of equity in terms of different sources of input for global stocktake. In this regard, Canada said that different voices and sources of input feeding into the process would best implement equity. Discussions on stocktake was also carried out within the Ad-hoc Working Group on Paris Agreement (APA). The results of the discussion would be in the form of combined draft conclusions to be prepared by APA co-chairs Sara Bashah (Saudi Arabia) and Jo Tyndall (New Zealand).